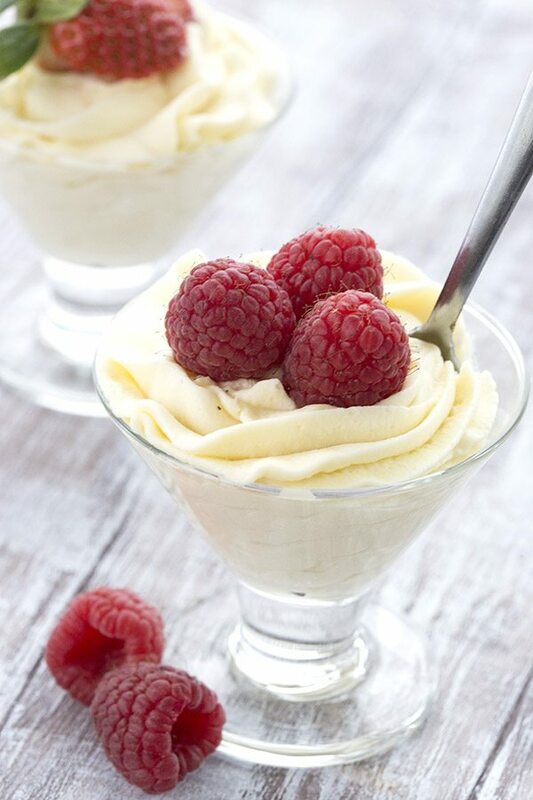 This creamy low carb white chocolate mousse recipe is so easy to make. 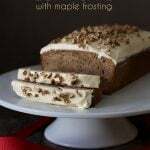 It’s a perfect keto dessert for any occasion! So if you know me, you know I like to experiment and play with my food. I rarely even make my own recipes exactly the same way twice. I have good intentions to follow my instructions to the letter and then my mind wanders and I think “Oh, what would happen if I did this?”. Sometimes the results are spectacular and sometimes they are less so. But I always learn something out of the deal. Turns out that when I have the time, I also love to play with my photography. I’ve become very accustomed to the white, clean style I’ve cultivated over the past few years but I do sometimes feel stuck in a rut. I feel a little like I am taking the same photograph over and over, just with different food. So I’ve been trying things out, new back drops and surfaces, sometimes even opting for a darker, more dramatic style. Just as when I experiment with food, sometimes the results are spectacular, and sometimes they are less so, but I always learn something out of the deal. Taking photos of light-coloured in a bright white setting, such as this delectable low carb white chocolate mousse, is tough. It can simply disappear into the whiteness of the background. So I had some fun playing with this one, as you can see. Dark, medium, light backgrounds…I found I actually got a few decent photos in all of those situations and couldn’t decide which I liked best! This keto dessert recipe was inspired by a gorgeous high carb white chocolate mousse on My Baking Addiction. Of course, that version used real white chocolate, which simply isn’t an option for those of us on low carb and keto diets. 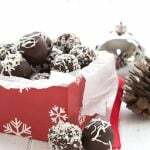 But I knew I could fake it a bit with some cocoa butter and get that same white chocolate flavor. I actually made a double batch but it was such a rich dessert, I felt I needed to cut back on it a bit. And then I ended up using the leftovers for another, insanely decadent low carb mousse cake…and that recipe is to follow soon, I promise! 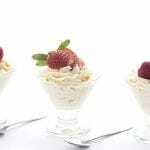 So, enjoy this delicious keto white chocolate mousse recipe as is, with a few fresh berries, or as part of a bigger, more elaborate dessert. No matter what, you will love it! 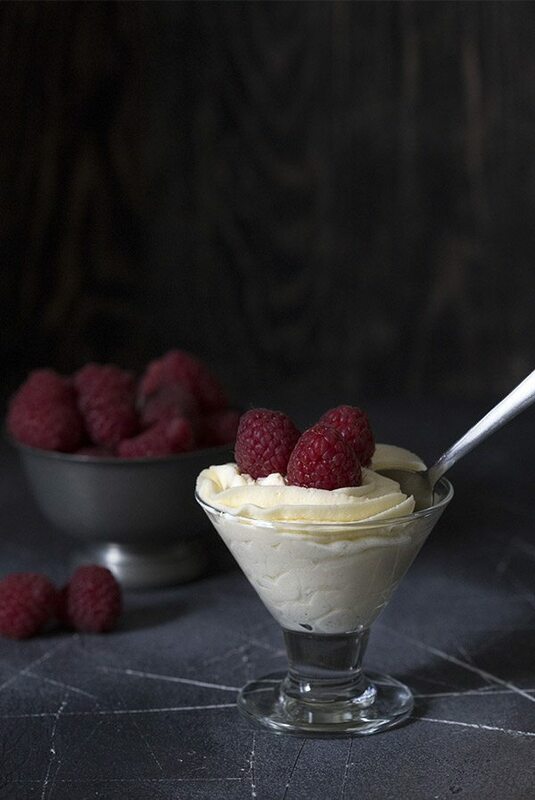 This creamy low carb white chocolate mousse recipe is so easy to make. 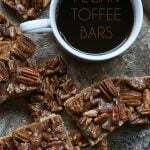 It's a perfect keto dessert for any occasion! 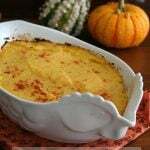 In a medium bowl, beat 1/2 cup of the cream with 2 tbsp of the sweetener and 1/4 teaspoon of the vanilla extract until it holds stiff peaks. In a large bowl, beat the cream cheese with the remaining sweetener and vanilla extract. Beat in the melted cocoa butter until smooth (mixture may get quite thick). Add the remaining 2 tbsp of whipping cream to the cream cheese mixture and beat until combined. If the mixture is still very thick, add another tbsp of cream. Fold the whipped cream into the cream cheese mixture until well combined. 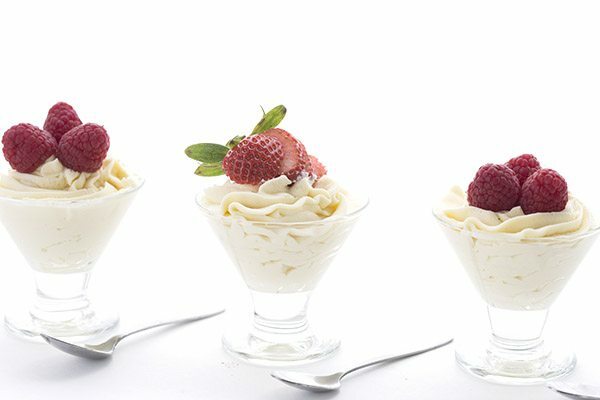 Spoon or pipe into 4 dessert glasses and top with fresh berries. White chocolate is my FAV!!! 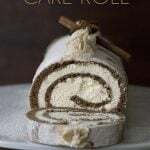 I can’t wait to make this, and I’m sure it will be as delicious as all of your desserts and SO EASY! Also, wanted to let you know that your sweetener amount in the recipe got replaced by just a link to Amazon with no amount included . Thanks for continuously coming up with wonderful recipes for us ! This looks like the kind of elegant delicious-ness that you’d find in an upscale restaurant. 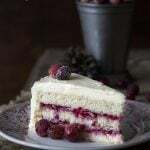 It would be pretty to serve for a bridal shower dessert or spring-time luncheon. I’ll be anxious to try this one! Just whipped these up for our Easter dessert tomorrow, paired with a strawberry on top of each one. I think they will be a hit! You are a genius! I made these this afternoon and let them chill. My husband and I had two of them for dessert with fresh raspberries. Oh my goodness, these are delicious! Can I use some (organic) white Chocolate chips instead of cocoa butter? I understand you don’t use chips bc of carbs. But I want to make today and I can’t find the cocoa butter local. Where do you find cocoa butter? The Craftwood Inn is not closed! So I bought the small 4 oz size bag of Wild cocoa butter wafers on Amazon just to try out this recipe. Then, I made it. Oh my flippin’ WORD!! I just went back and ordered the 16 oz bag. And that was after only licking the bowl! I’m restraining myself, as it’s almost midnight, and such an indulgence right before bed would be less than prudent. This is requiring me to muster every bit of willpower and discipline I have! What an absolutely phenomenal fat bomb!! Silky smooth, uncomplicated, unadulterated white chocolate flavor that just melts to a gossamer whisper on the tongue. Your brain will scream, “Rich!” alternated with, “Mmmmmm!.” Am I waxing poetic?? Darned right I am! This is an upscale dessert you can serve as a regal finish for any meal, that works with just about any fruit you would care to top it with. And the best part is that it’s absurdly easy to throw together. Boom. Take a bow, Carolyn. You’ve completely outdone yourself. So so glad you liked it. This might be the best comment I’ve ever received! 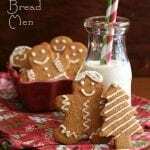 I just tried making this recipe and something went wrong. The cream cheese and cacao butter (just melted) turned gritty. I added more and more cream and all it did was kept thickening up but it was not smooth at all. It was like churning. I used 110 grams of melted cacao butter (measured before melting.) Could the cacao butter be ruining this? Oh dear I figured out what I did wrong. A website said 1/2 punch was 110 grams when it’s 15 grams. I wasted all that cacao butter gringe, ugh. Ugh, what website was that??? Heavy cream and whipping cream are essentially the same thing. When I say “whipping” cream, it means the fluid. When I say “WHIPPED” cream, it means the product that happens AFTER you whip it. So you are fine using heavy cream here and following the instructions as written. 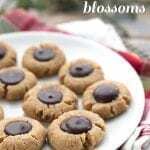 Okay this is got to be by far my favorite dessert recipe that you have created. Well of all the ones I’ve tried so far! It is absolutely delicious. I told my husband that next time I’m going to make a parfait with a chocolate mousse and berries. Honestly looking forward to making it again. This is definitely something that I will take to a family dinner to share with everyone. Thank you so much for sharing all of your amazing recipes, you have made a huge impact on the low carb / keto world. I hope that one day you can come to the small town of Ponca City Oklahoma so that I can meet you and thank you personally. Easily one of the best low carb desserts I’ve ever tried. Husband loved it! Whipping up a triple batch for Thanksgiving to go with the pies. Very simple to put together and taste and texture are both spot on. Cannot recommend highly enough! 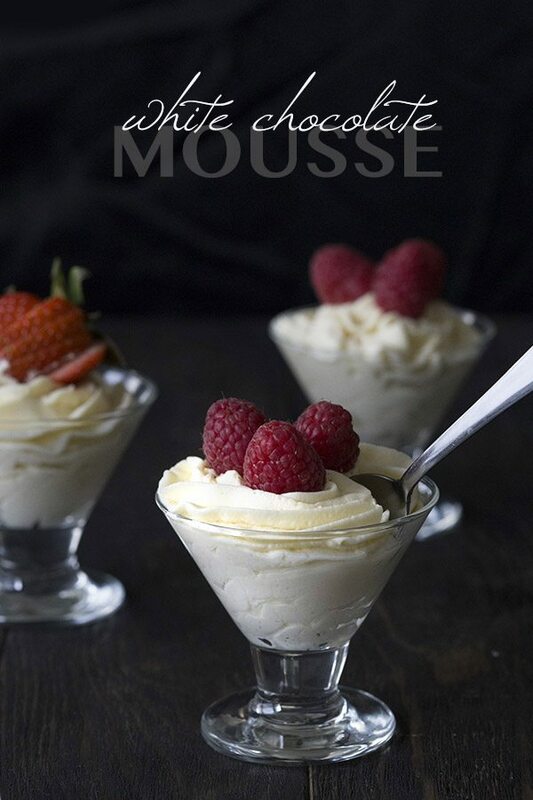 I’m looking for a keto mousse to use in a mousse cake and this looks super good. Do you think I need to add gelatin to stabilize, or do you think it’s strong enough to keep a cake shape? Is that half an ounce of cocoa butter in volume or weight? Thanks! I have to try this asap!! 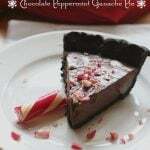 Im planning on making the triple chocolate mousse cake, can I use this recipe to make the chocolate mousse as well but substituting the cocoa butter for unsweetened chocolate?! So it’ll be chocolate mousse? I can’t find pasteurized eggs here. Help! Yes, you could turn it into chocolate mousse that way probably. I haven’t tried it so I can’t be absolutely sure it will work. Alright! If I do make it that way, I’ll be sure to let you know how it turned out. Thank you!